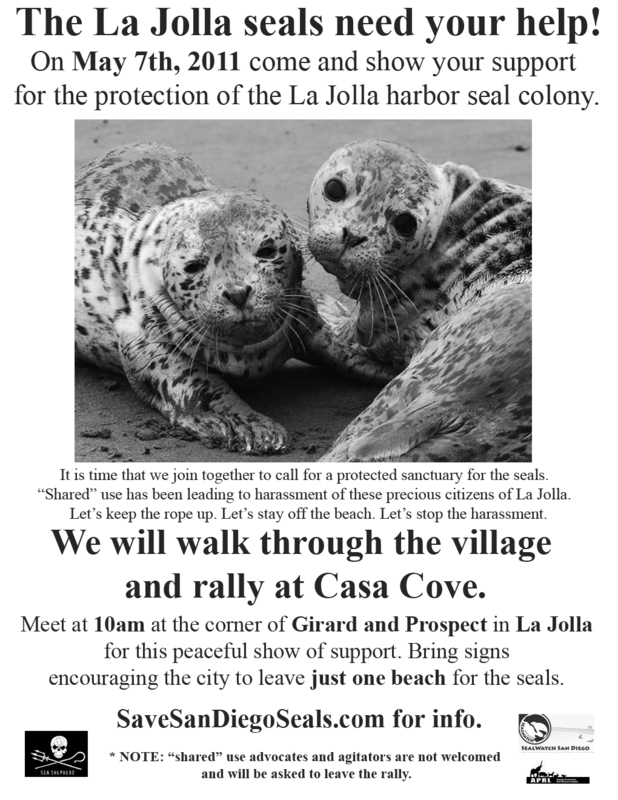 La Jolla, CA - As many as a hundred conservationists and animal rights activists are expected to stage a protest march at 10am this Saturday, May 7th demanding adaquate protections for a seal colony in La Jolla's Casa Cove. Their march through downtown La Jolla will begin at the corner of Girard Ave. & Prospect St. in La Jolla (map) and end with a rally above the beach at Casa Cove. 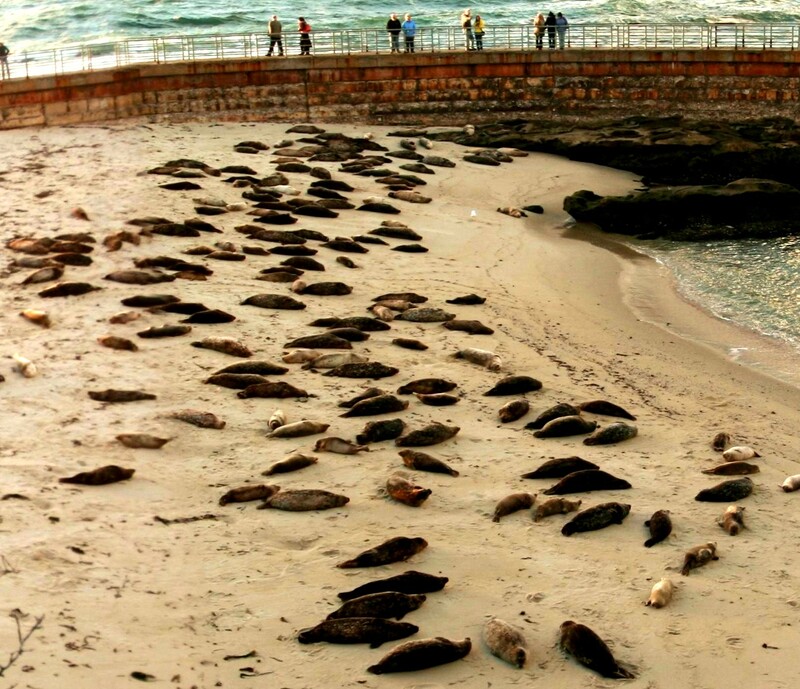 Casa Cove, also known as "baby beach" by locals has served as a rookery for harbor seals since the construction of an artificial sea wall by the Scripps family in the 1930s. "Despite federally mandated protections for these seals, periods of shared use of the beaches at Casa Cove have led to situations where seals were harassed or chased away by people." says Dorota Valli of the Animal Protection and Rescue League (APRL) of San Diego's SealWatch. "Due to development and human intrusions on the coast the nearest established rookeries for harbor seals are roughly 100 miles to the north and south of Casa Cove thus limiting the harbor seal's ability to breed, nurse, and raise their young." says Carly Slawson a volunteer with APRL's SealWatch. Copyright © 2011 The Sparrow Project, All rights reserved. The Sparrow Project is a grassroots PR agency that advocates exclusively for important activism projects and social justice endeavors that would otherwise have marginalized access to media.